Peoria Accessory Co.; PACO Mfg. Co. The founders of the Peoria Accessory Co. were Frank Lynn Mackemer and Eli M. Mackemer, two brothers who grew up in Hanna City, Illinois, a western suburb of Peoria, at the turn of the century. Their grandfather, Elias M. Mackemer, was an attorney who was born on December 19, 1804 in Lewisburg, Union County, Pennsylvania. He married Elizabeth Silverthorn in 1832 and relocated to Muscatine County, Iowa in the late 1840s where he established a successful law practice. Their union produced 8 children, Eli, Ellis, Lectan, John, Russell, Florence and Elizabeth (2). Eli M. Mackemer II, born in 1847 was their father. He was brought up in Muscatine, Sweetland Township, Iowa where he married their mother, Olive R., sometime around 1880. The family moved to Leavenworth, Kansas in the late 1880s, and finally to Hanna City, Illinois, a western suburb of Peoria at the turn of the century. Eli M. Mackemer II was active in politics and was elected mayor of Hanna City in 1907. While still in office Eli passed away and the family moved to Peoria. Eli Milo Mackemer (III) was born in 1884 in Muscatine, Iowa. After graduation he found employment with the J.W. Mackemer Lumber Co., a large Peoria lumber distributor that was owned by his cousin, Joseph Walter Mackemer. Eli and two friends of his deceased father, Harry B. Pinkerton and George M. Reents went into business in 1910, organizing the Mackemer Motor Co. of Peoria, Illinois to repair and deal in motor vehicles and appliances. Capital stock was $5,000 and Mackemer served as president of the firm. Harry B. Pinkerton was president of the Hanna City Bank, and founder of the Pinkerton Motor Co., 809-823 Main St., Peoria’s first Ford distributor. The Peoria Automobile Co., founded in August 1904 at 707-709 Main St., was Peoria’s first automobile dealer of record. In 1913 Frank Lynn Mackemer, born in Leavenworth, Kansas in 1893, joined his brother in the firm which by that time had a satellite branch in Galesburg, Illinois, a mid-sized city located 45 miles northwest of Peoria. Soon afterwards Harry B. Pinkerton increased his financial interest in the Mackemer Motor Co. and reorganized it as Mackemer & Pinkerton. By that time Pinkerton was Peoria’s Ford distributor and it’s likely that Mackemer & Pinkerton were selling Model Ts at their Galesburg satellite which was managed by Eli M. Mackemer. Lynn Mackemer, as he preferred to be called, was an avid motor racing enthusiast and was a regular spectator at the Creve Coeur Raceway, a small dirt track located just south of Peoria. As there was no speed shop in Peoria at that time, he and his brother opened the Peoria Accessory Co. at 601-607 S. Washington St., Peoria, to fill the void. 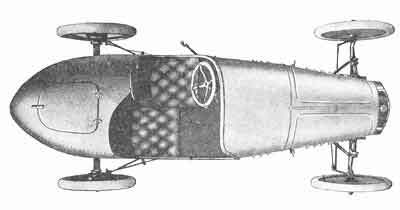 After surveying the crude Model T speedster bodies available at the time, Mackemer started work on his own using Peugeot’s 1914 Indy racers as an inspiration. Peoria Accessory Co. decided to put the body into production on a limited basis and named it the Paco Speedster Body. It’s not clear if they were actually built in-house or by a third party, but Paco’s bodies are considered to be the first torpedo-tailed Model-T speedster body to be nationally advertised. 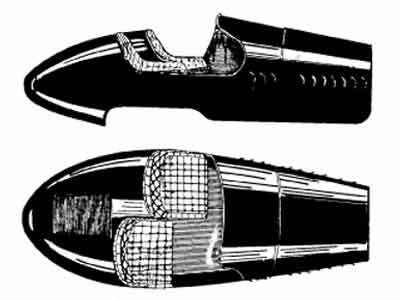 “Two types of streamline bodies, one for the track and the other for ordinary usage, now are offered by the Peoria Accessory Co., Peoria, Ill., under the name of Paco. These bodies show unusual originality in design and should meet with the approval of the speed bugs who wish to make an odd speed-creation of their Ford cars. While these bodies, which are show in Fig. 3, may be attached to the Ford chassis in about ½ day, it appears that they will fit other small cars of dimensions almost the same as the Ford. “One of the Paco bodies, that for track work, has its seats set staggered and the cowl brought up close to the steering wheel. The exhaust pipes cut through the hood and meet to form one large pipe. The rear is streamlined, something like the Peugeot now used by Bob Burman. The steering post is lowered to accommodate this body and in order to make driving easy the control pedals are bet. The equipment includes a new dash, hood, air pump and pressure feed system and complete instructions for installing. The material is 20-gauge iron. “Speedster bodies evoke very active interest in a large number of Ford car owners and we have many Inquiries about them every month suggesting changes which it would be wise to make, and of this group we take pleasure in printing that of Mr. Lynn Mackemer of the Peoria Accessory Co. The cowl of the Paco speedster body was set back six inches from that of a stock Model T, and a correspondingly lengthened hood gave it a noticeably sleek appearance. The Paco kit included the hardware need to lengthen and reposition the steering column and even included a set of similarly lengthened pedals. The most noticeable feature of the Paco body was the side passenger cut-out, which allowed quick and easy access for both driver and passenger. Entering and exiting the vehicle from the driver’s side was difficult and although the passenger side cut-out was optional. Few, if any bodies were produced without it. As an associate of Pinkerton Motors, the Mackemers had an unlimited supply of cheap second-hand Model T chassis and Paco-equipped Model T’s were likely displayed at the Galesburg and Peoria branches of Mackemer & Pinkerton. One of the cars pictured showed a stagger-seating option which placed the driver’s seat 7” ahead of the passengers, giving him more room for steering maneuvers. By 1916 the stagger seat Paco speedster was given the Model 21 designation, and a new chisel-tailed racer debuted as the Model 22. 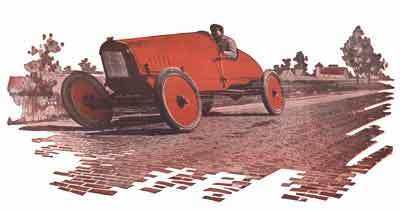 Fried & Stonier Co. was another Peoria-based Speedster body distributor whose Fasco-brand racing bodies were advertised in the June 1916 & Dec 1916 issues of Motor Age and the Sept 1, 1916 issue of Horseless Age. Fried & Stonier advertisements depict a speedster, identical in every way to the ones produced by the Peoria Accessory Co. at the time, however, the ads feature different text boasting: “Individuality Brought Success - FASCO Racing Bodies filled the great demand for an actual Racer. The beautiful lines are identical to those of DARO RESTA'S PEUGEOT”. A search of the 1917 Peoria telephone directory lists no Fried or Stoner households, nor any business with either name. Furthermore the address given in Fried & Stonier’s September Horseless Age ad - Spruce & Adams Sts., Peoria, IL - puts it in the same city block as Peoria Accessory Co.’s plant which was located at the corner of Walnut & Washington Sts. While it’s possible that the firm was a Paco body distributor that just happened to be located right down the street, it’s also feasible that Fried & Stonier Co. was an auxiliary sales division used by Peoria Accessory Co. to determine the effectiveness of its advertising. For many years carriage builders and other businesses that placed numerous ads in different publications would use slightly different street addresses or box numbers so that they could accurately gauge the success of an individual advertisement. For example, a factory located between 500 and 508 Main St. would use 500 Main St. in one ad, 502 Main St. in another, 504 Main St. in another, etc. Fried & Stoner were not the only ones distributing re-badged Paco speedsters, the mail-order catalog of the William Galloway Co. of Waterloo, Iowa, offered them as the Foreigner (Model 21) and Speed King (model 22). A third Galloway offering, the Grey Eagle, featured a steeply-sloped racing cowl and was also thought to have been built by Paco, although it is not pictured in any known Paco catalogs. Coinciding with the appearance of the Fried & Stonier Co. ads, Lynn Mackemer took out a patent for his stagger-seat speedster body. He and his brother applied for the patent on June 17, 1916 and six months later (January 19, 1917) they filed another patent application for a bench seat-equipped variant of the first body. By 1917 the Peoria Accessory Co. was no longer listed under in the Peoria business directory. Under the automobile dealers heading Mackemer & Pinkerton Motor Co. was also gone, replaced by the Mackemer-Kelly Co. which was doing business at 711-715 Main St., their former address. Paco advertisements from 1917 no longer gave a Peoria mailing address; Galesburg, Illinois was now listed as their mailing address and in the firm was calling themselves the Paco Mfg. Co.
“Own a lively, snappy looking PACO RACER. Modeled on French, streamline design. Fit any Ford chassis. Paco Bodies are patented. None others like them. Strong molded steel body, low they cling to the road. Comfortable seats and easy riding. Shipped complete with all attachments. Write today for 3-color circular with photographic reproductions of Paco Bodies. Get description & prices. “Write Today, PACO MFG. Co., Galesburg, Illinois Dept 9, Write Today"
“‘Welcome – Boy Howdy – gad - but it’s good to see you again, You finished the job - and did it well. After all is said – BOY - you did it like we knew you would. “PACO RACING BODIES for you Fords are back. While the war was being won-PACO was off the market. The steel was used against the Hun. NOW-we can make PACOS for you and for 1919 we offer the classiest-snappiest line of racing bodes for the Ford you ever saw. “Make your plans now for overhauling the Ford and getting ready for the coming season. Instead of a new coat of paint-mount a PACO BODY on the chassis. You will completely transform the appearance of the old ‘boat’. You won’t recognize the nifty looking racer. Decide now to experience the joy of driving a PACO. “Dress up the old Ford. Make it a speed car - modeled after world famous racing designs-yet still retain the comfort and satisfaction of driving a snappy, easy riding roadster. “A thoroughbred appearance - that makes you stop for another look and then envy if you don’t own one – that describes your sensation when you see the PACO – the distinctive racing body. “PACO BODIES are modeled after the world’s greatest speed cars – on streamlines that offer the least wind resistance. 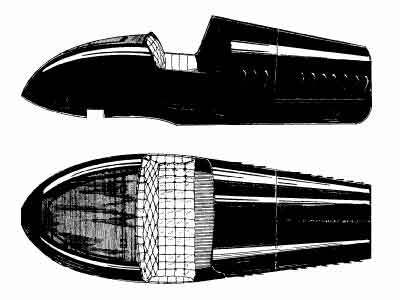 French engineers excel in designing racers. The PACO BODY has a classy, foreign look that you get only in the PACO. “Long sloping hood – in streamline with the cowl, low seats, upholstered and tilted just right for comfort – receding rear end – gives you a combined enjoyment of pride of possession and driving satisfaction you never had before you owned a PACO. You can get all this at moderate cost. Any Ford chassis can be easily converted into a PACO RACER. “When you own a PACO BODY you own a racing roadster body that is exclusive. “We are the patentees, sole owners and sole manufacturers of this type of racing body. Paco designs are fully covered by United States Patents Numbers 50,218 and 50,448. Unless a body of this type bears the name ‘PACO’ it is not an original, nor is it genuine and it is a direct infringement on Paco Patents. All such infringements will be prosecuted under the federal patent law. “PACO BODIES are built in a variety of styles and models – with or without the new 1919 Paco Top and Windshield – the PACO exhaust pipe – disk wheels and other features. “WRITE TODAY for complete description and illustrated literature from photographs of PACO BODIES. Get the prices today on the PACO LINE. A Paco ad in a 1920 issue of MoTor magazine gave a physical address, Fourth and Franklin Sts., Peoria. Unlike most of the competition, Paco never offered cycle fenders, however two new bodies, the Model 23 and 24 debuted in 1919 that were designed to be used with a set of standard Ford fenders and running boards. Paco’s offerings remained unchanged through 1922, but the following year they introduced the Palster, a new roadster body designed for use with standard Ford fenders. By that time the firm’s emphasized their “New Low Price” which gave a good indication of Paco’s financial situation. Not surprisingly no ads were placed during 1924, and the firm quietly withdrew from business. Harry B. Pinkerton’s Ford dealerships did not suffer the same fate, and by the late 20s he owned dealerships in Springfield, Pekin, Peoria and Galesburg, Illinois. Pinkerton was a founder and president of the Illinois Automobile Dealers Club and was also served in the same post with Peoria Automobile Club.